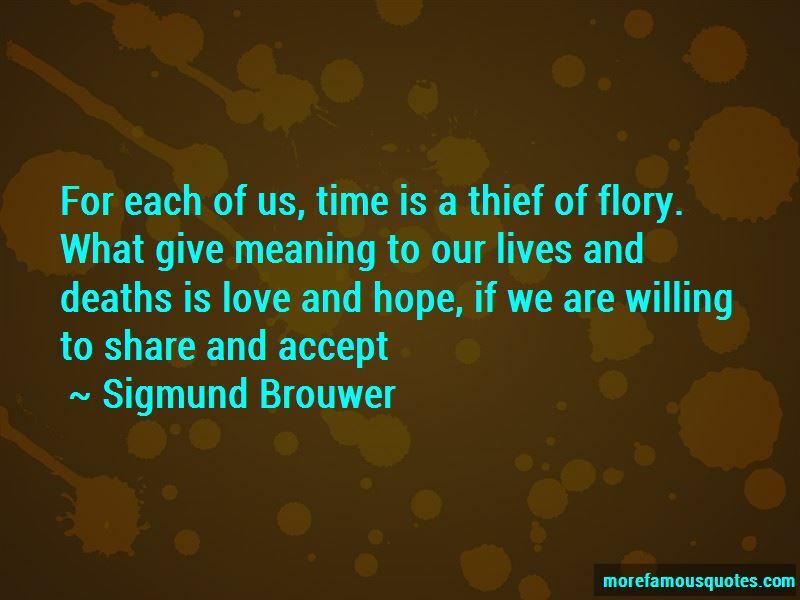 Enjoy the top 2 famous quotes, sayings and quotations by Sigmund Brouwer. True men of this world do not wish. They change that which they know can be changed, they accept what cannot, and they always strive for the wisdom to know the difference. Want to see more pictures of Sigmund Brouwer quotes? 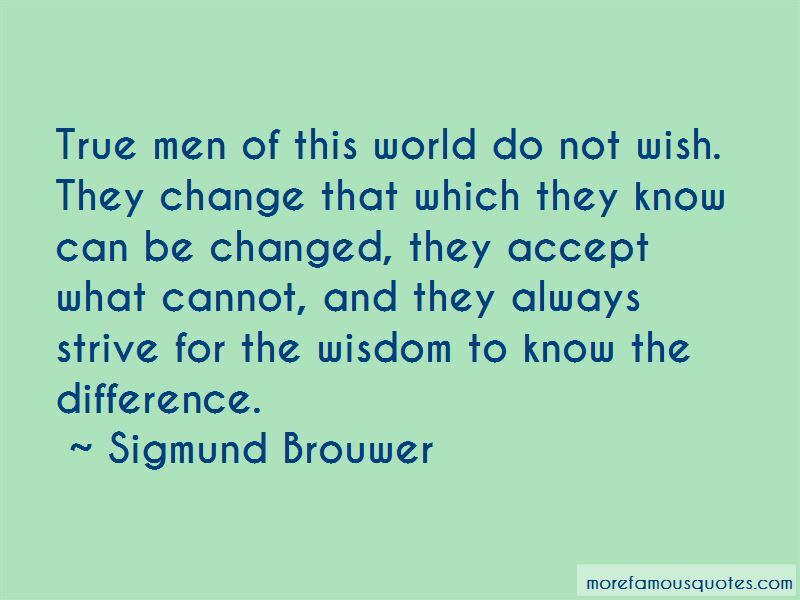 Click on image of Sigmund Brouwer quotes to view full size.